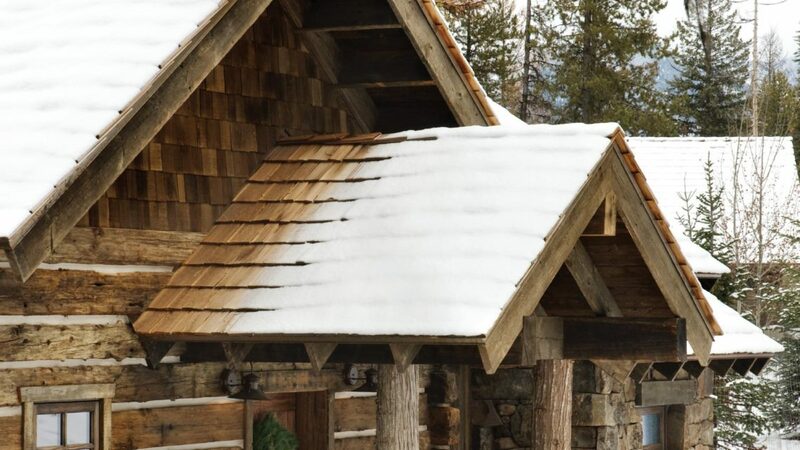 The architectural variety and diversity of home sites in the Flathead Valley are enough to keep the craftsmen at Bigfork Builders challenged, expanding their skills and expertise, and happy in their work. 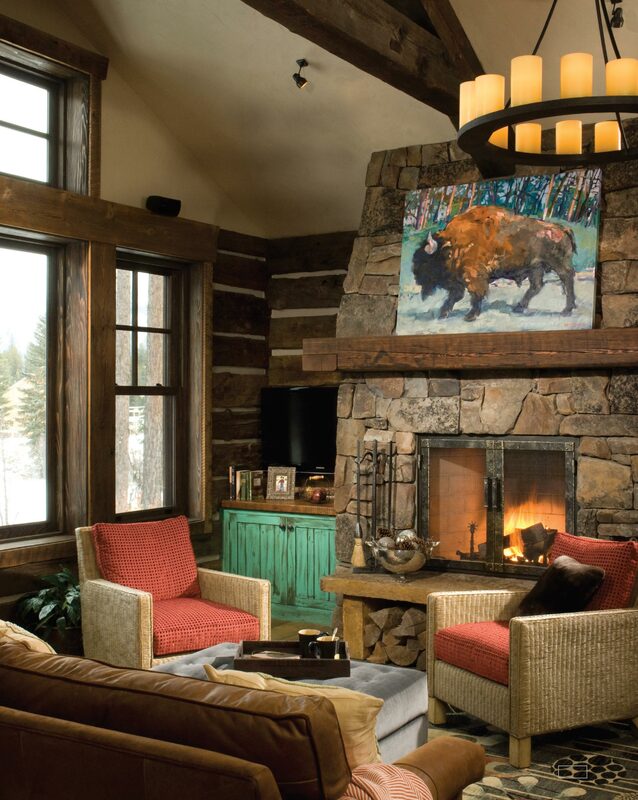 We all leave signs of who we are, and for Bigfork Builders, the style of home, favorite materials, or a place they like to build doesn’t say who they are. Instead, the craftsmanship with which they build and the inclusive process that guides a home to completion is where they leave their mark. 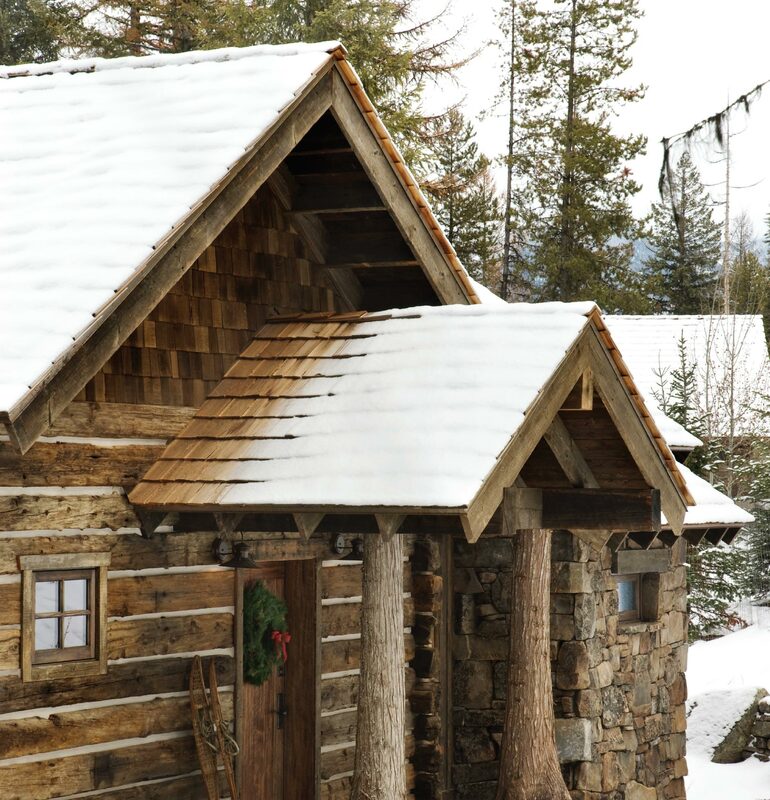 The roots of Bigfork Builders can be traced to the friendship between the co-owners and partners, Andy Fischer and Brad Reedstrom. “We met 30 years ago when we both began our college studies in construction management in southern Minnesota,” Fischer recalls. Their friendship and respect for each other has been a strong foundation for their partnership. 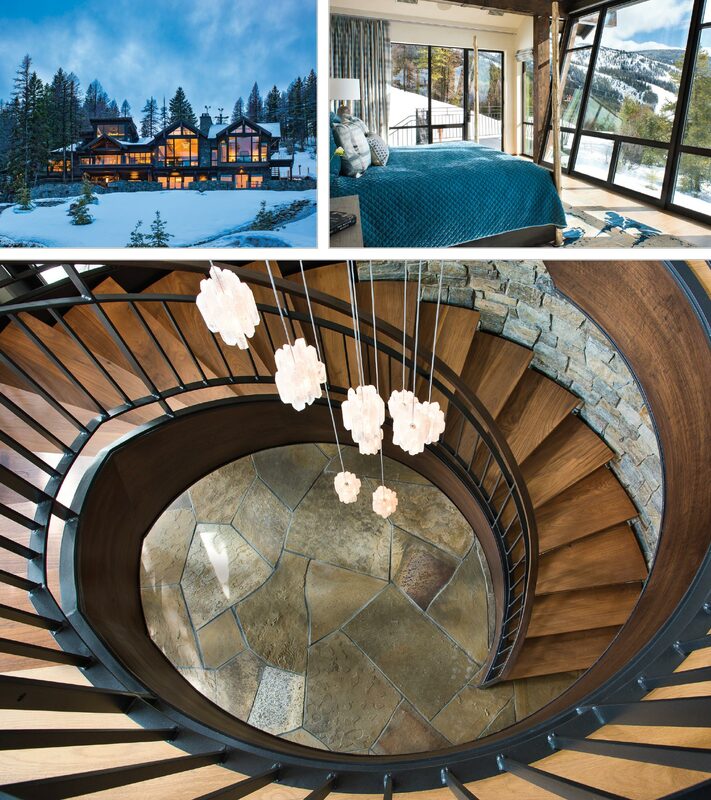 Bigfork Builders has been building highly custom homes in the Flathead Valley since 1992. 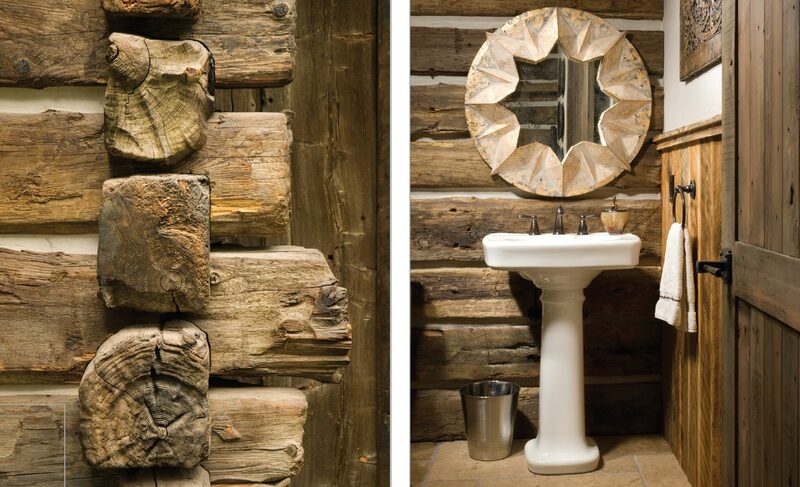 The timeless inspiration of relaxing in a mountain cabin by a fire becomes a reality with locally sourced material, logs honed and chinked by experienced hands, and melding the details into a whole. Those familiar with the work of Bigfork Builders are quick to comment on the firm’s knowledge and skill. This includes their high building standards, implementing the newest advances in construction technology, and master craftsmanship like over-sized biscuit joinery, solid blocking, and opposed-hand nailing. 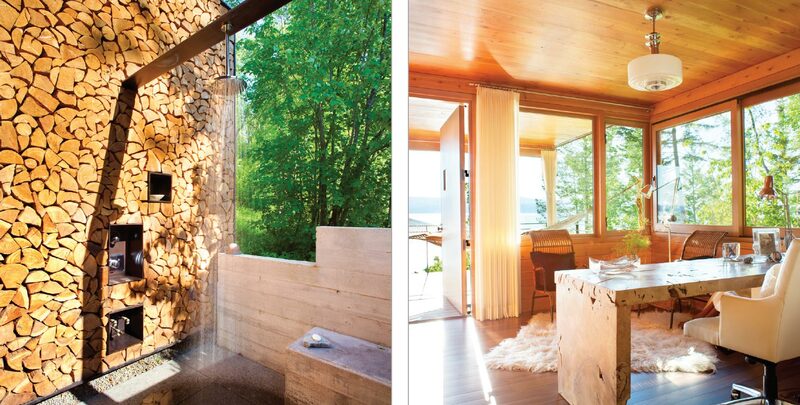 The abundant windows of Rock Creek Camp revive the porch experiences of earlier lakeside homes. 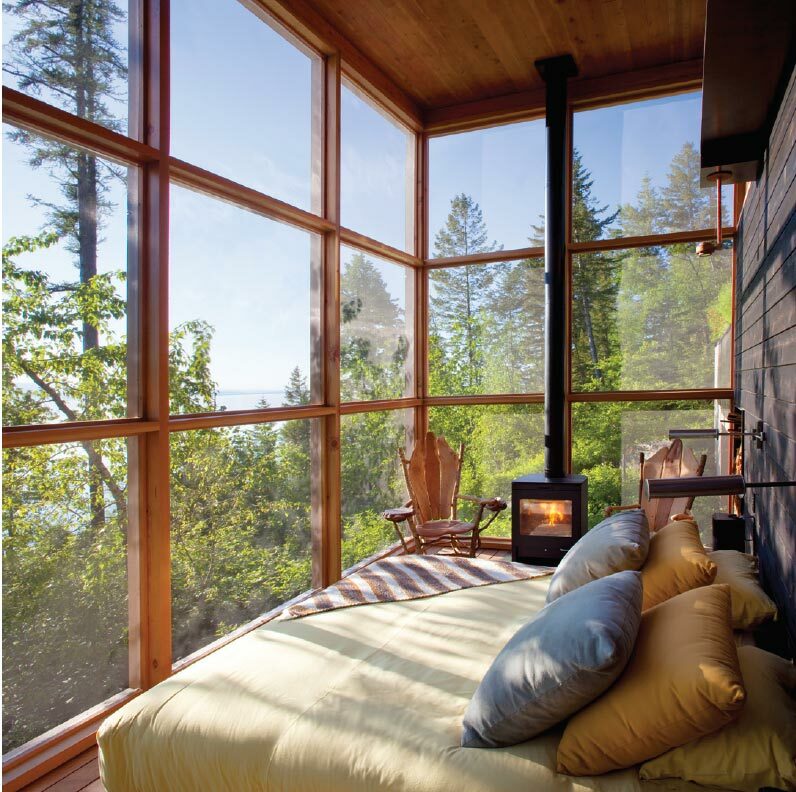 The bedroom is glass on three sides with its own stove for warmth; those in the living area can track the boaters on the lake; the office is perched amid the home’s activities; and the outdoor shower mingles pleasure and practicality. The partners have assembled a management team and they credit them for the ease with which jobs move from start to completion. Executive Supervisor Gary Kristensen worked with Fischer and Reedstrom to complete their first home 25 years ago. He brings extensive experience and training in carpentry to each project. He also has a comprehensive understanding of the systems and methodologies employed in home construction. “The combination of his technical expertise, time management skills, leadership abilities, and outstanding work ethic stand out on every project,” says Reedstrom. Executive Supervisor Coby Schaefer worked up through the ranks since starting with Bigfork Builders 18 years ago as a master carpenter. He studied drafting and blueprint design, as well as welding in college, and he has completed additional professional training in construction standards and jobsite safety. Training and advancing professional skills are at the heart of how Bigfork Builders operates. Both Fischer and Reedstrom earned their Certified Green Building credentials. They are active in the Flathead Building Association, and both have served in leadership roles for the Student-Built Housing Project. Close to home, they support the local Bigfork Chamber of Commerce. The National Association of Home Builders initiated an interesting peer mentoring program, NAHB Builder 20, where 20 builders from throughout the country get together to exchange ideas on best practices and technologies and to make recommendations to one another. Bigfork Builders quickly saw this as yet another way to grow and improve, so they joined and actively participate. When the co-owners and supervisors are out on the jobsite, the crew at Bigfork Builders relies upon Kendra Espinoza to keep the office functioning smoothly. A whiz at accounting and bookkeeping, she also brings a creative spirit to marketing. Rustic mingles with sophisticated classic elements in this home’s exquisite woodwork. The high white ceilings maintain an airy brightness. 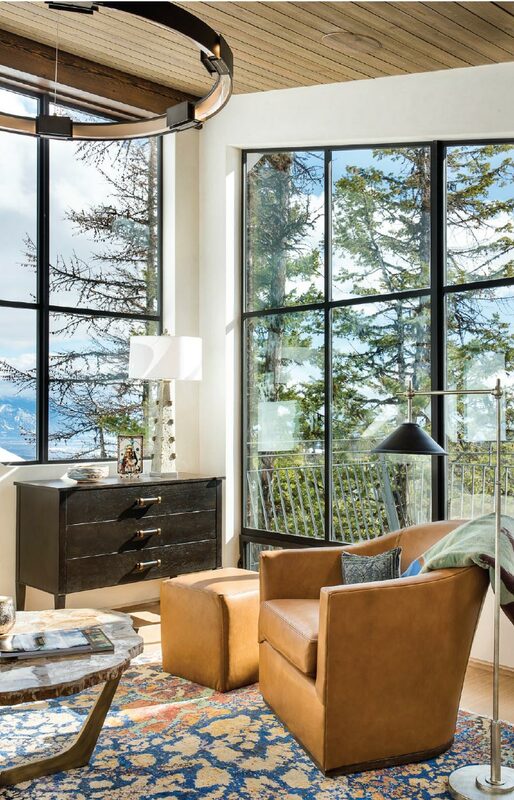 The landscape of the Flathead Valley inspires a diversity of design. The starting point in the process is the introductory meeting. That’s the time when Bigfork Builders presents its credentials. It is also when discussions begin regarding the clients’ design preferences, lifestyles, and building objectives. This leads to an initial framework: design goals, preferences for building style, conceptual drawings, budget concerns, and timeline. 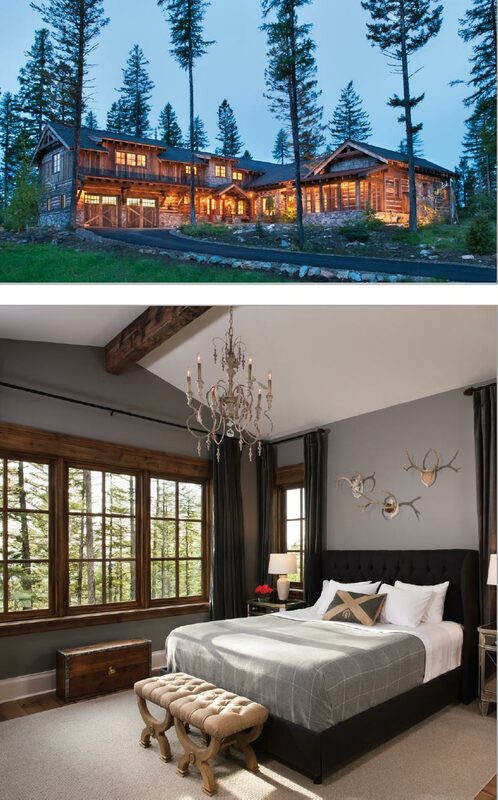 Site selection is recognizably a difficult choice with such a variety of natural beauty in the Flathead Valley and the Swan Lake areas to choose from. 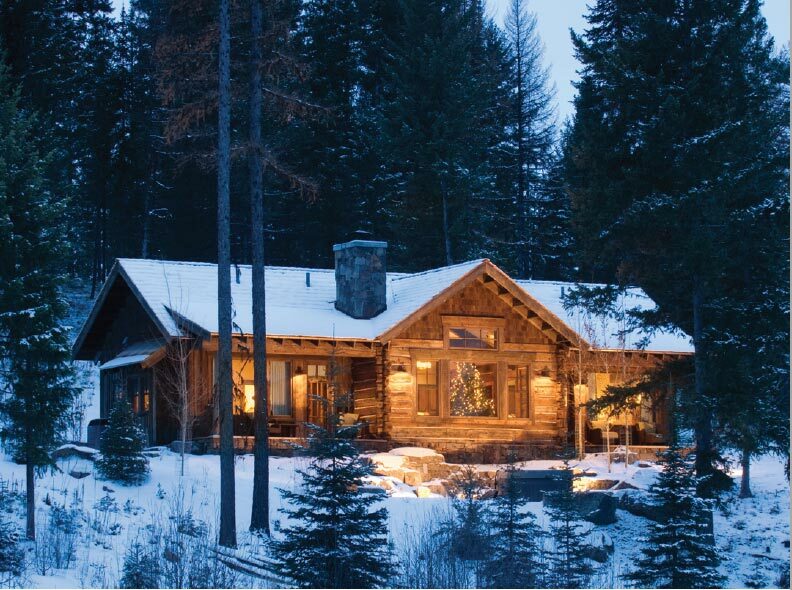 For those who have not yet found the perfect spot, Bigfork Builders has an established long-standing network of relationships with local professionals in real estate, architecture, and banking available to assist with the search. For those with a location, Fischer and Reedstrom feel it is important for all to visit the site together. 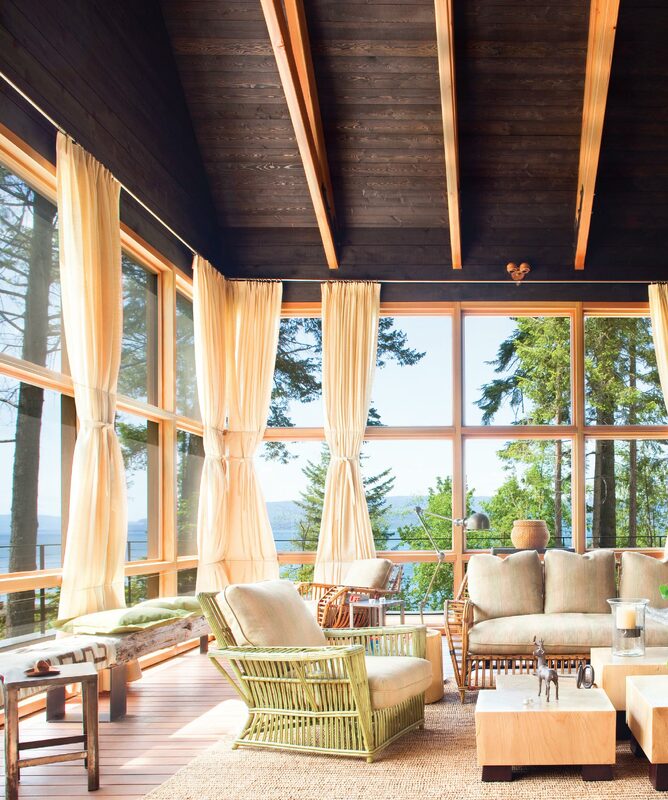 The site visit is the most opportune time to discuss location, access, landscape and topographic conditions, any impacts from local ordinances or building restrictions, favorite views, positioning the home, and privacy issues—all important for a smooth process later and maximum enjoyment. All firmly commit to moving forward with the project by signing the construction contract. Bigfork provides an itemized and detailed budget and proceeds to obtain any permissions, approvals, or permits required by local regulatory authorities, and surveying is completed. It begins with the excavation work, then the plumbing and electrical utilities are roughed in, the foundation gets poured, the exterior and interior walls are framed, and the roof goes up. Bigfork Builders reports weekly on this exciting progress and sends photos. Next come the wall and ceiling finishes, window and door styles, lighting, cabinetry, countertops, flooring, and final appliance selections. Once clients agree it’s absolutely perfect, Bigfork Builders professionally clean the home just prior to final walk-through. During the walk-through they demonstrate operations and present a detailed homeowner’s manual to ensure familiarity with the home’s features and operating systems.